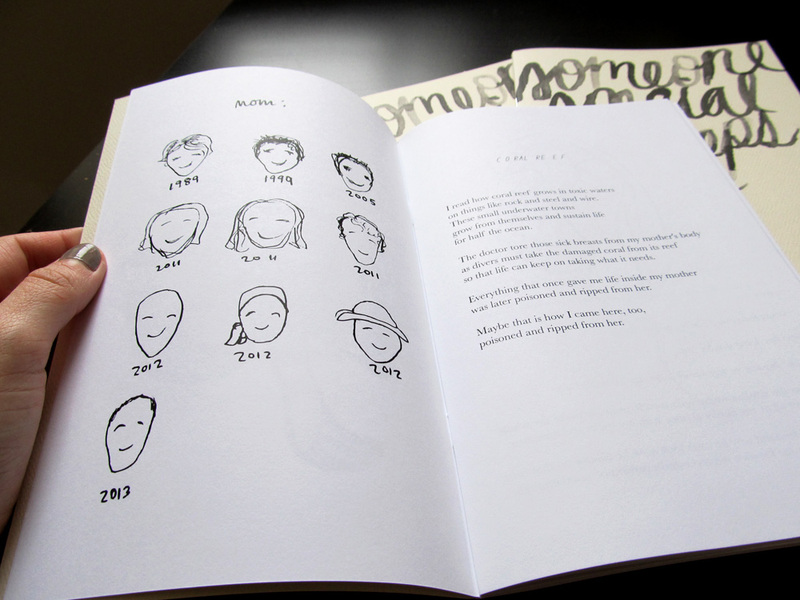 A collection of original poetry and drawings made in 2013. It is 56 black and white pages with a beautiful linen cover, printed in a limited edition of 50. I still have a few left if you’d like to request a copy!